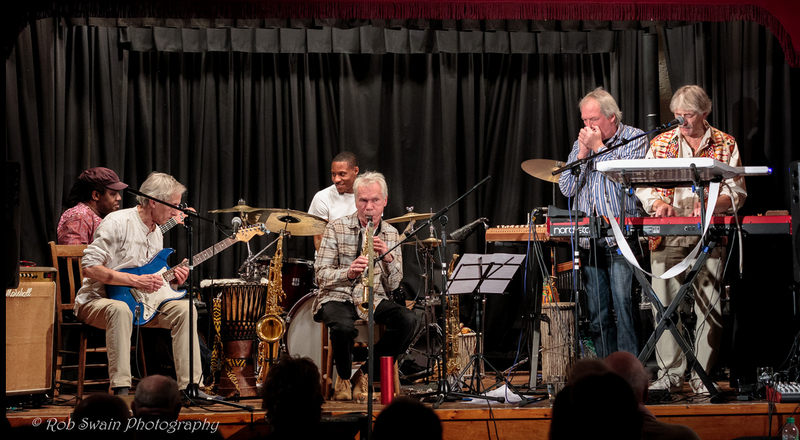 A QUARTET who mixes up world music, folk, jazz and Anglo/Caribbean grooves will be performing at Chetnole Village Hall and Winterborne Stickalnd Village Hall. Since the launch of their latest album ‘Aspects of Joy’, the James Lascelles Quartet has toured across the UK to showcase their works, with memorable concerts at venues such as Foyle’s Jazz in the West End of London, and Mama Stone’s in Exeter. Last autumn they appeared just once in Dorset as part of the Artsreach performance programme. Now, following a huge demand from both audiences and promoters, this exceptional group of musicians return to Dorset for two further concerts this winter. The quartet is led by James Lascelles on keys and percussion. Classically trained as a pianist and percussionist, globally taught and open to all styles, cultures and sounds, Lascelles was given his first lessons in improvisation by the late Sir John Tavener. Since then he has worked alongside the likes of Frank Zappa, Joan Armatrading and Steve Harley and Cockney Rebel, and has composed, arranged, produced and performed for theatre, TV and film. Joining Lascelles throughout this special Dorset tour are sought after bass player Mikey Bailey (Boney M/Swing Out Sister) and Egyptian percussionist Hossam Ramzy (Robert Plant/Jimmy Page/Peter Gabriel). Saxophonist, flautist and Guiness Record holder for the most UK musician sessions Bud Beadle (Manfred Mann/Boney M) will complete the line-up for the first gig, with legendary reggae man, world musician and multi-instrumentalist GT Moore making a special appearance. For the second Artsreach gig, Lascelles’ regular associate Tim Herniman steps in on sax, violin and percussion. People are invited to join the quartet for a musical exploration around the world and back this winter. Thursday, December 11 from 7:30pm at Chetnole Village Hall. Call 01935 873555 for tickets. Friday, December 12 at Winterborne Stickland Village Hall from 7:30pm. Call 01258 880920..